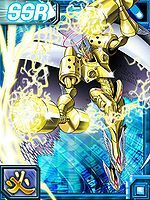 One of the Olympos XII, it is a Digimon that rules over thunder and weather as the god that presides over the skies. It is always judging good and evil on the battlefield, and metes out divine punishment to those who choose evil. It makes the decisions dispassionately, wholly excluding any emotion from its judgments. 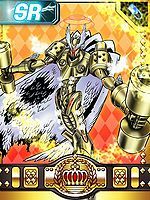 It is said that if someone who continues to disagree with Jupitermon's judgment challenges Jupitermon and wins, the judgment will be overruled, but it said that none yet exist who could overturn it. 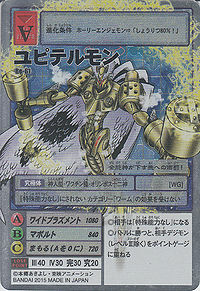 If it exchanges blows with the opponent using the hammers in both of its hands, it is able to summon tiny thunder clouds. Its "Mabolt", which constructs an array of these thunder clouds, automatically looses thunderbolts at those it judges as evil or those who hinder its arbitration. Its "Punish Judge" engraves a seal on the bodies of the opponents struck by its hammers and bestows a reprieve to their punishments. If it decides to carry out the sentence, they are smote with the thunder of an immense electric current, and the punishment is executed. 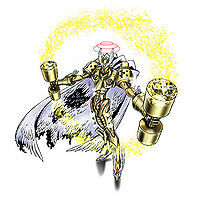 Its "Wide Plasment", which converts its body into extremely high-voltage plasma, is Jupitermon's greatest Special Move. 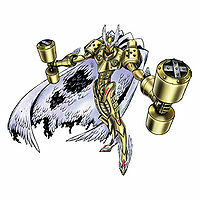 It inflicts divine punishment all around Jupitermon, and all those who are touched by it are completely disintegrated. 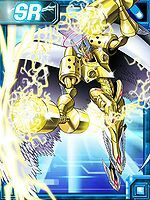 Jupiter (「ユピテル」 Yupiteru) was the god of thunder. He is the Roman equivalent of Zeus of Greek Mythology. マボルト Ma Boruto Constructs an array of tiny thunder clouds, summoned by exchanging blows with the opponent using the hammers in both of its hands, which automatically looses thunderbolts at those it judges as evil or those who hinder its arbitration. パニッシュジャッジ Panisshu Jajji Engraves a seal on the bodies of the opponents strucks by its hammer, bestowing a reprieve to their punishments unless it decides to carry out the sentence, at which point they're smote with the thunder of an immense electric current. ワイドプラズメント Waido Purazumento Converts its body into extremely high-voltage plasma, inflicting divine punishment all around itself so that all those who are touched by it are completely disintegrated. 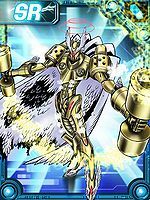 Jupitermon is available as a Digimon Medal. This omnipotent god lays down thunderous judgment upon evil! This page was last modified on 18 October 2018, at 15:19.